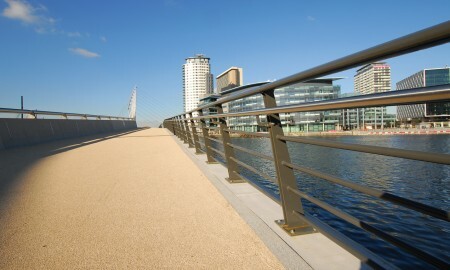 The promenade is part of the Irwell City Park project which is being co-ordinated by the Central Salford Urban Regeneration Company, in partnership with the three local authorities, Salford, Manchester and Trafford, and the North West Development Agency. 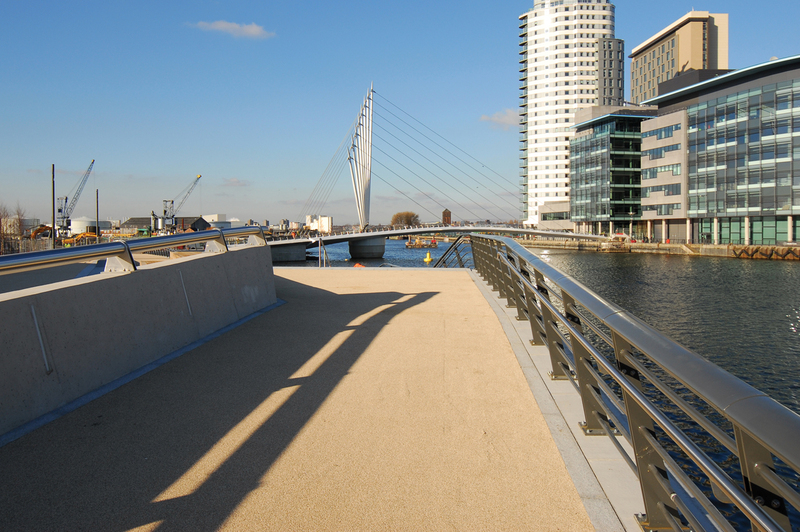 Running along the Manchester Ship Canal, in front of the Imperial War Museum, for approximately 200 metres, the project will provide a walkway and seating areas – leading down to the water’s edge. 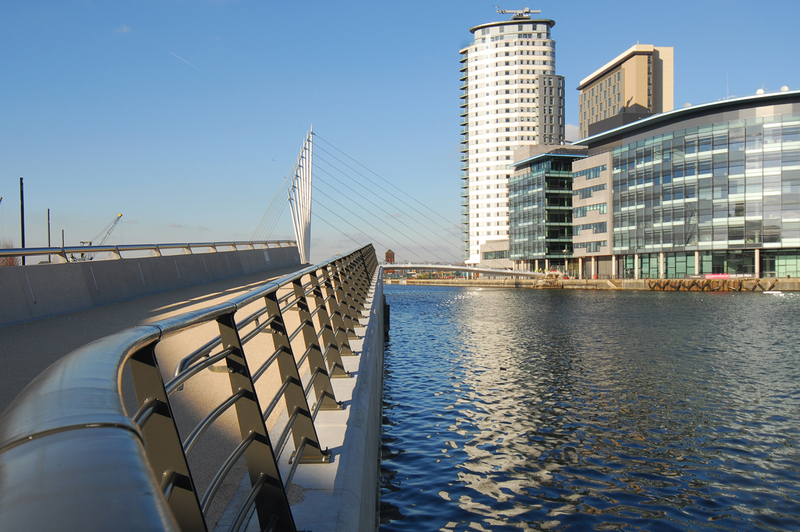 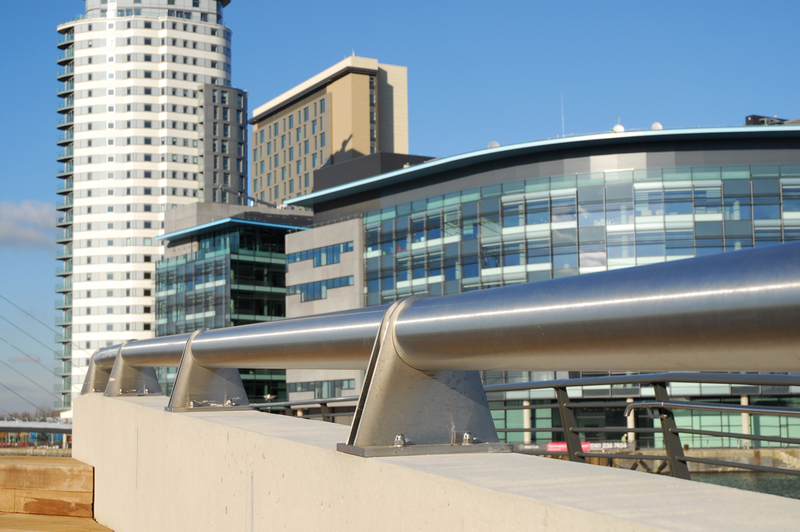 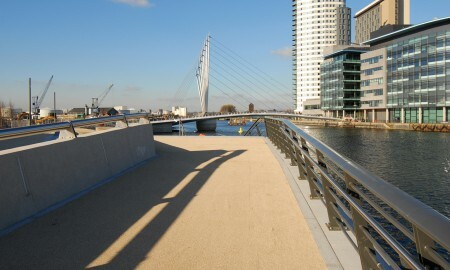 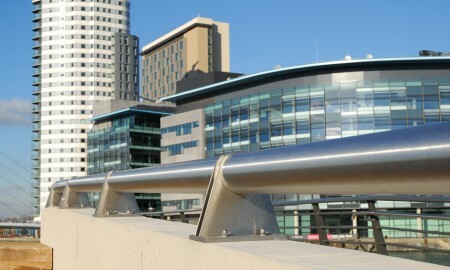 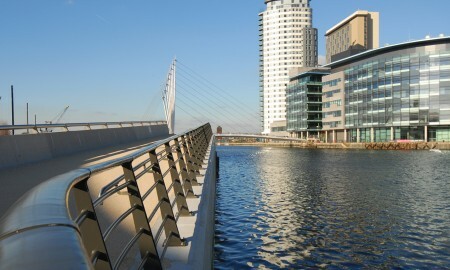 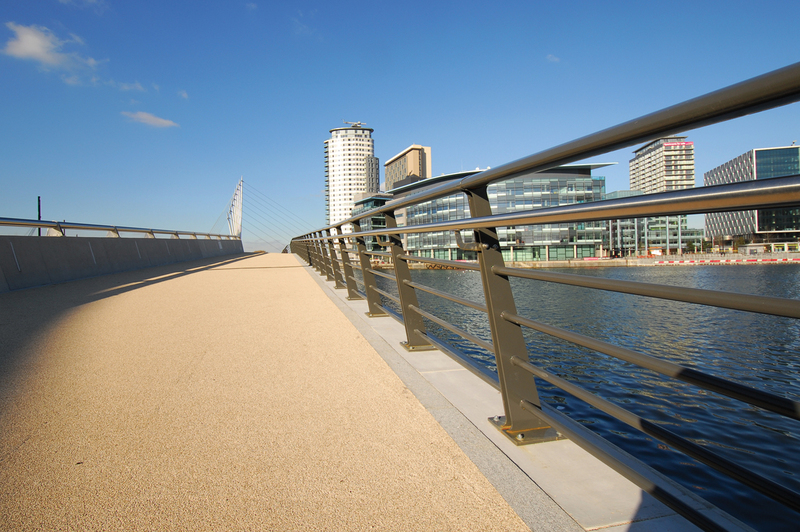 The newly created space will extend the existing Trafford canal promenade to the new Media City foot bridge. 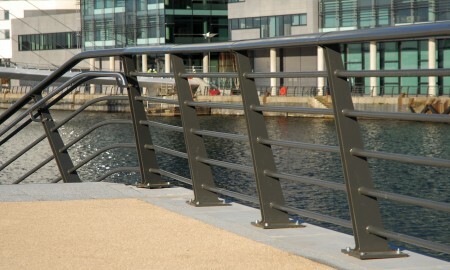 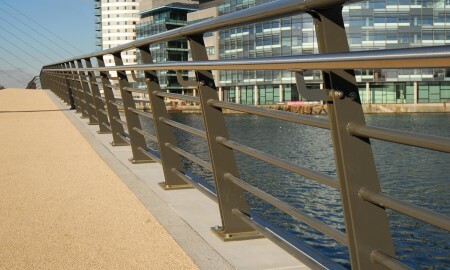 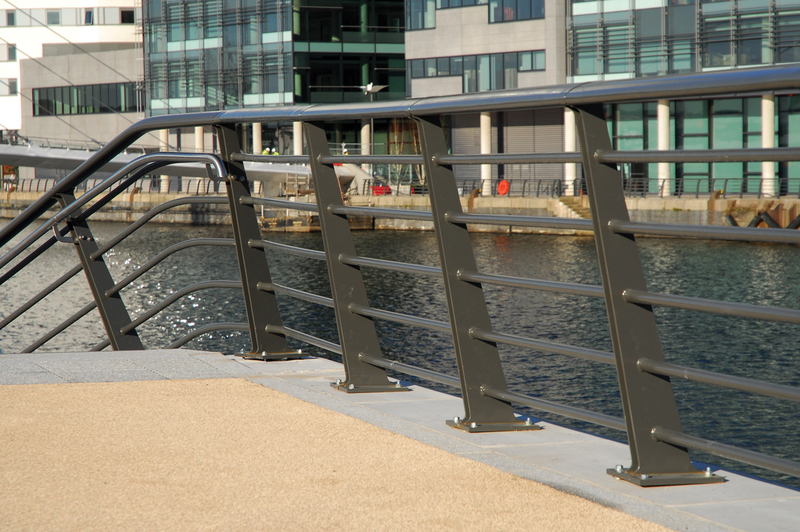 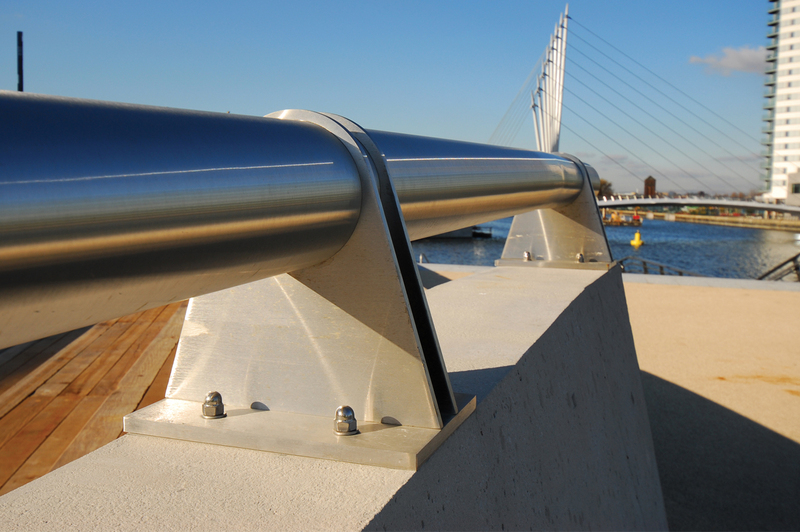 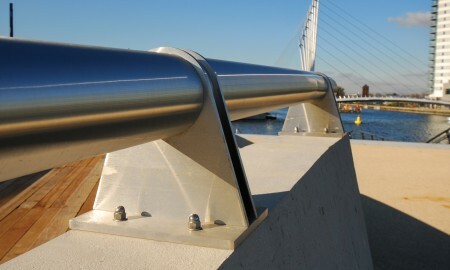 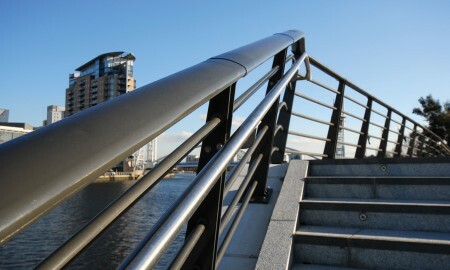 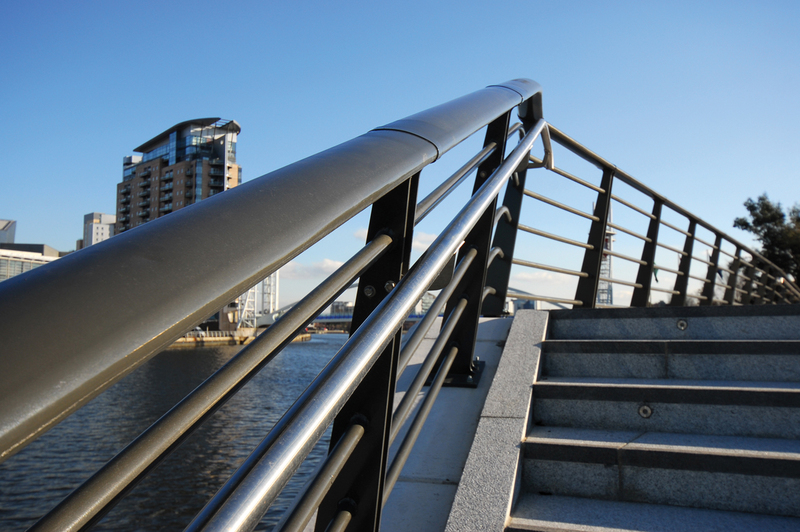 This pedestrian guard railing is manufactured in mild steel, shot blasted and finished in a marine grade paint system. 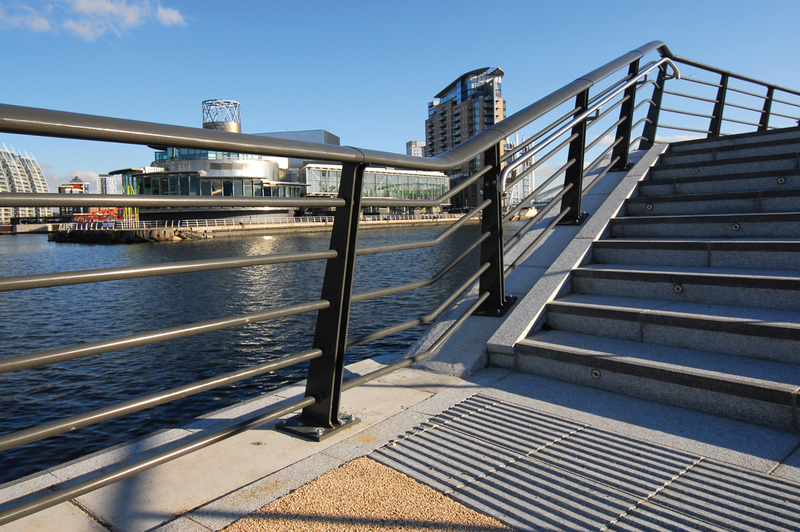 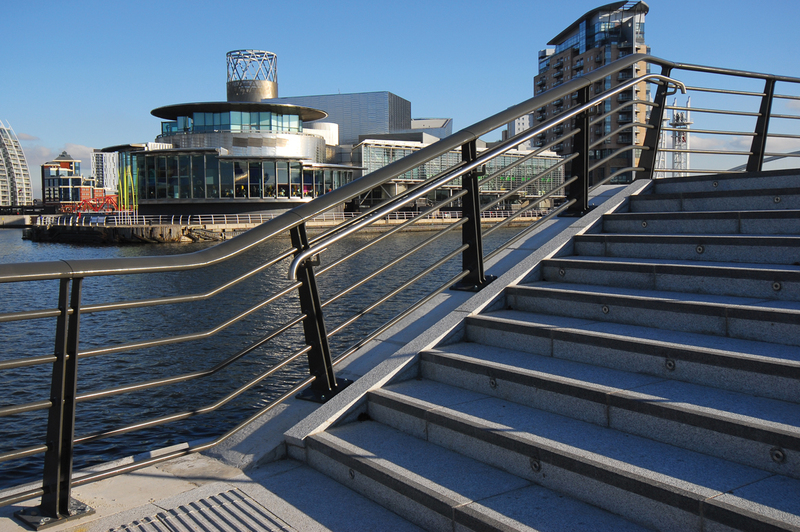 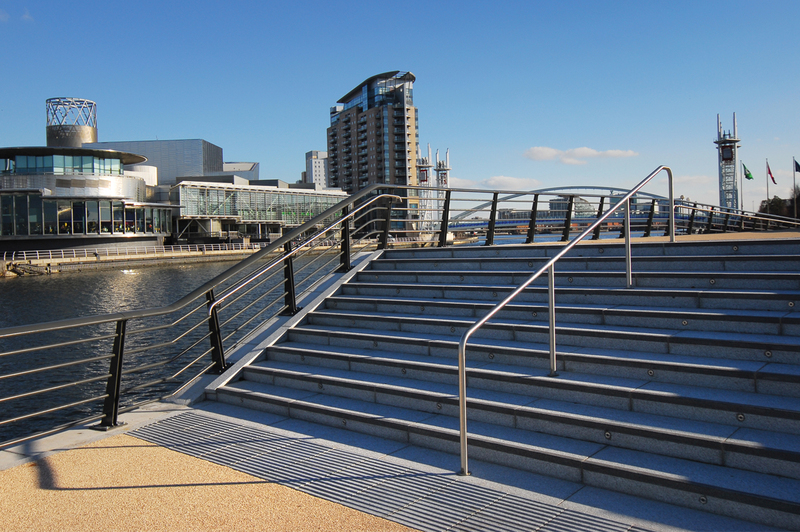 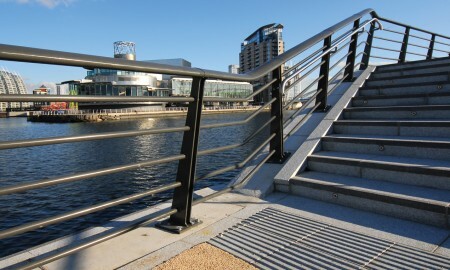 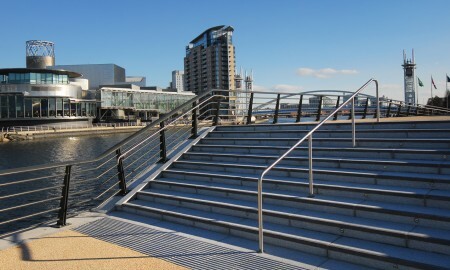 The oval top rail compliments the horizontal rail infill with the posts supporting stainless steel handrailing on all the stepped and ramped areas to comply with the DDA requirements. 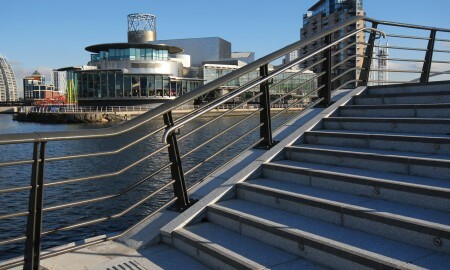 The wall top bespoke stainless steel barrier, handrail to the steps and skate board deterrents to the natural stone and timber seating areas completing the contract. 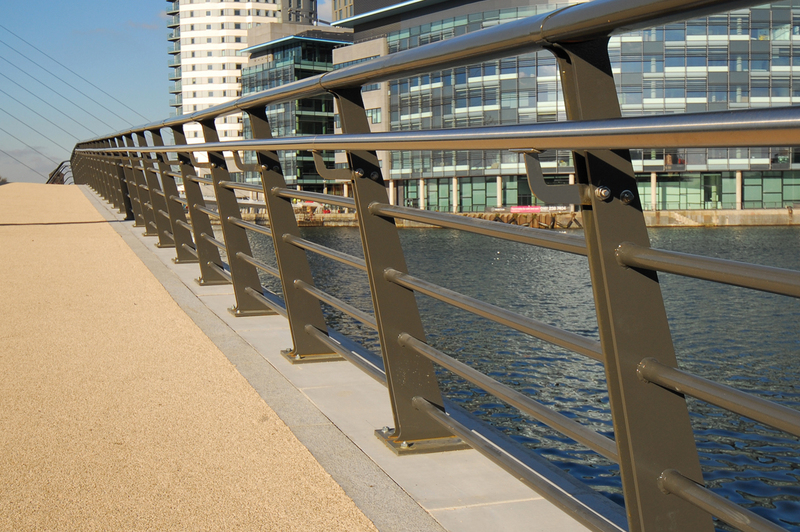 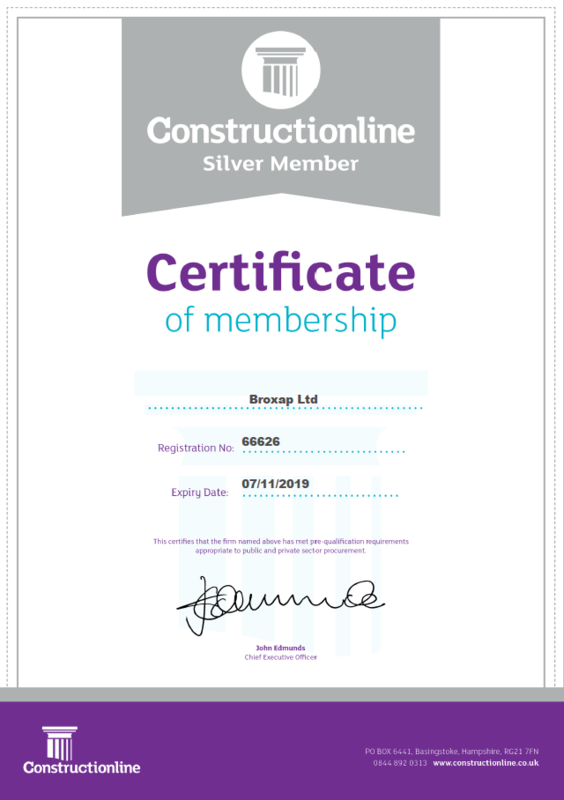 The design is fully compliant with BS 7818:1995 pedestrian restraint systems.